I was reluctant to visit Hazardous. After the first 'Oh cool!' 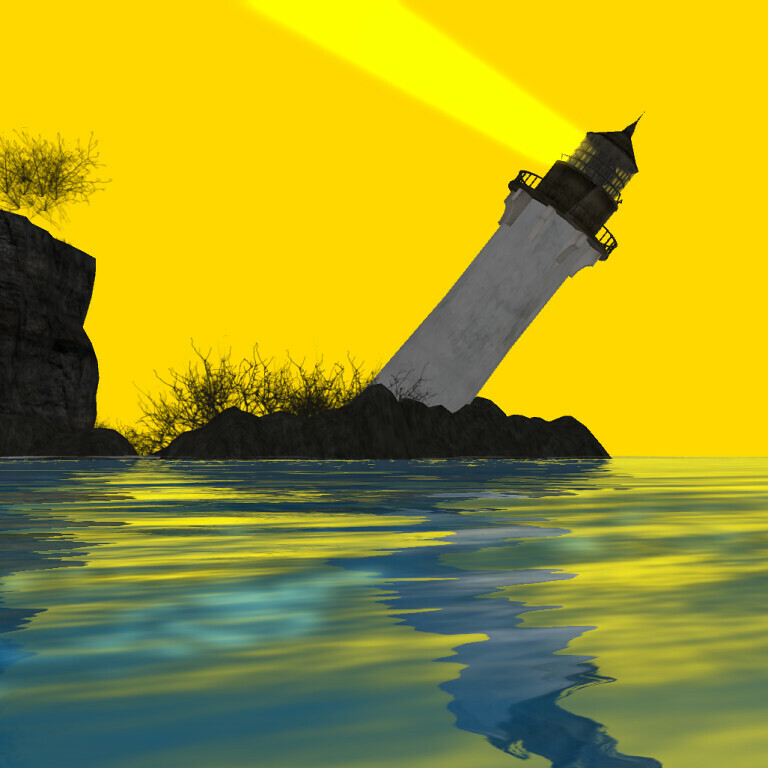 when I saw a pic of the tilted lighthouse a few weeks ago, I've seen so many pictures of the sim on my Flickr stream, that I started to get bored with them. I've seen the lighthouse a dozen times by now. And the cliffs. And the fields with the crooked trees. Hazardous is a hype and I don't like hypes. Yet there was an itch to see it with my own eyes. Yesterday I invited my good friend Peter for exploring and despite my feelings decided for Hazardous. It is a beautiful sim indeed, with a remarkable landing point and funny teleports. 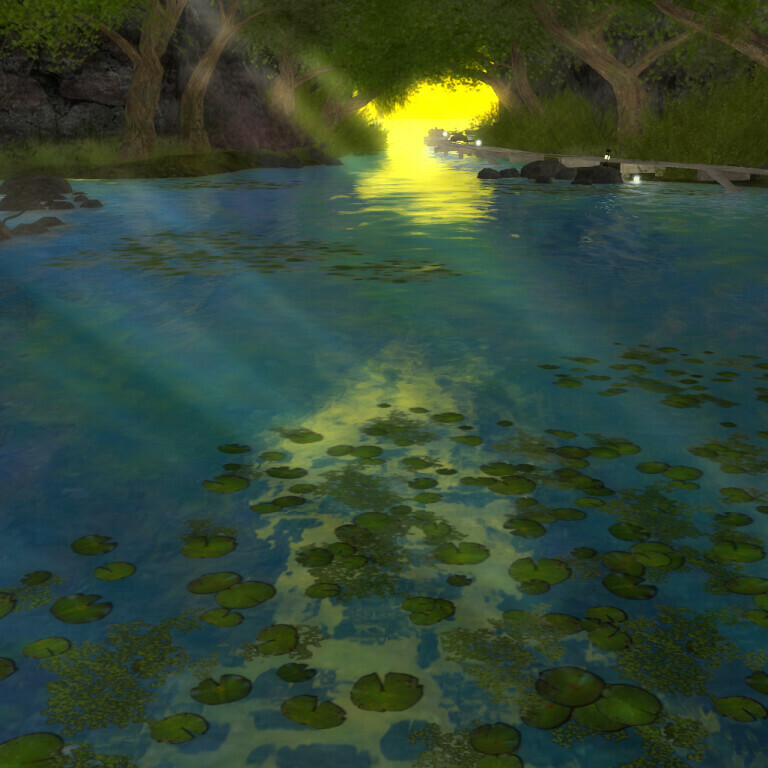 The surface reminded me of The Quiet, the sim by AM Radio, that started the trend of rural landscapes in SL a few years ago. But Hazardous offers more, with its cliffs and the spectacular cleft in the middle. It was fun to explore and the lag was reasonable, despite the crowd gathered on the sim. Today I returned to take some pics. Yes, that means more pics of Hazardous on Flickr :P But I don't have the skills to give them that vintage look, that seems to be so popular (and that, admitted, fits with the look and feel of the sim). 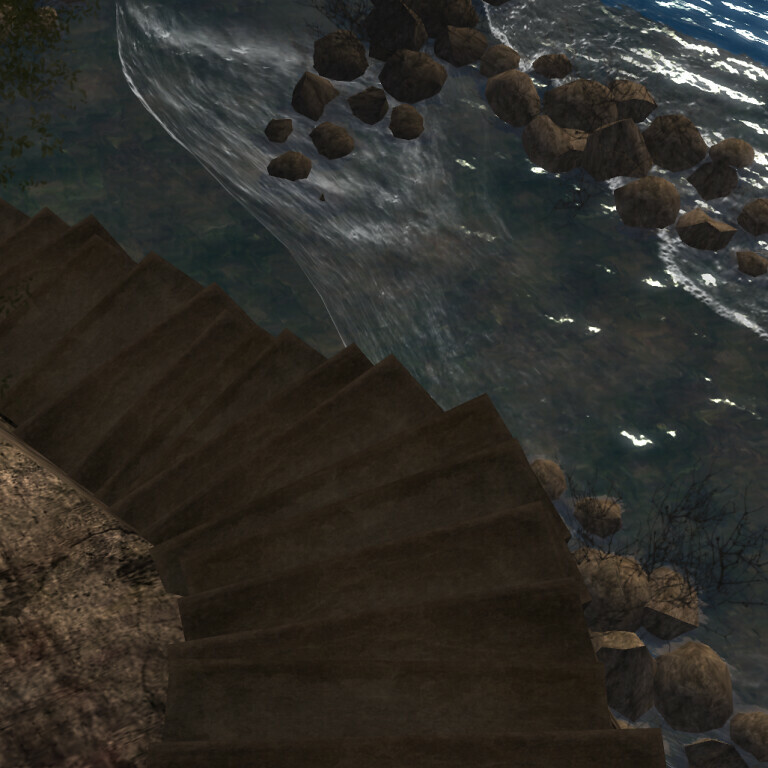 Instead I played with WindLight settings, tried different frame sizes, and tried to avoid the beaten track. I could not resist taking the umptieth picture of the lighthouse though, but I'm pretty content with the result. I hope you like it too.